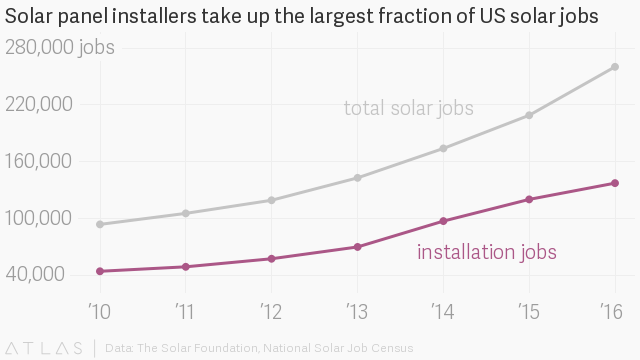 The main driver of job growth has been the rapid increase in solar capacity. 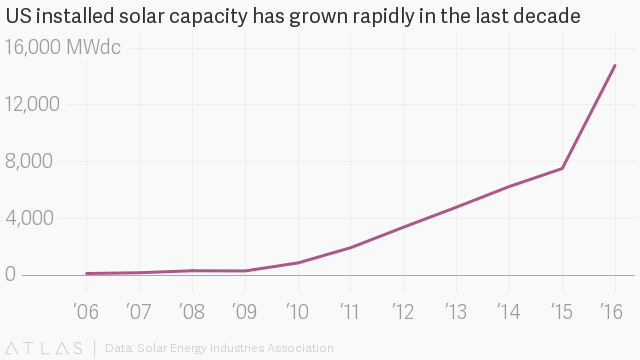 In the last decade, US solar capacity has grown an average of 72% per year. This has created opportunities in the manufacturing, sales, and installation of solar panels. In 2016, the solar industry employed more than 260,000 Americans. As Quartz previously reported, the US government has a knack for spectacularly underestimating renewable energy growth. 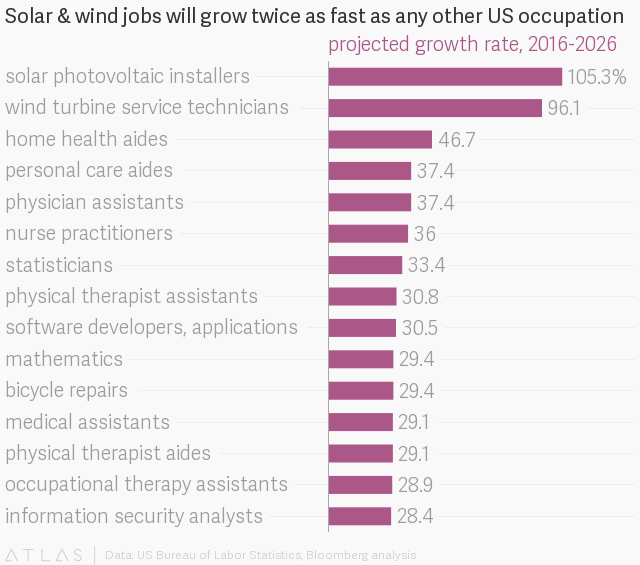 That means the projected figures for installed capacity and job growth are likely much more conservative than the reality to come.